- No flame! No candle! Lavender, Rose Geranium, Ocean Mist, Water Lily, Rose Otto, Mint, Green Tea, Rain Forest, Green Bamboo (hotel in Orchard using this - many customers love it! ), Violet Blossom. 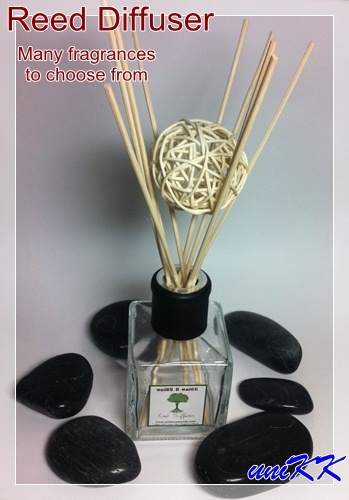 Click for more Reed Diffuser designs. 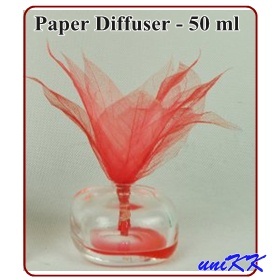 We can customize with 100% Pure Essential Oil for Reed Diffuser Blend. What are reed diffusers exactly and how do they work ? Reed diffusers are the latest trend right now in scenting for homes or the offices! 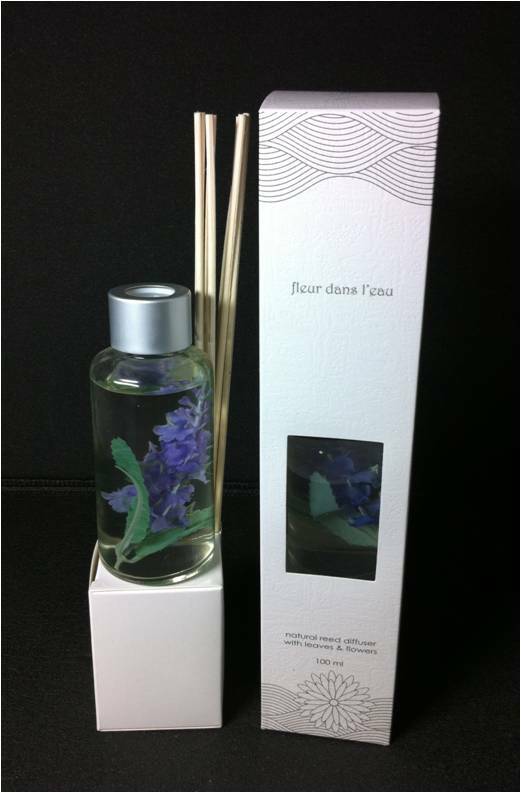 A group of rattan reeds (10 - 12) are inserted into a glass bottle containing scented diffuser oil. Each rattan reed contains about 20 "channels" that run the entire length of the reed. These channels "sucked - or dffused" the oil to the top of the reeds. The scent is then naturally dispersed into the air through evaporation- leaving the environment smelling wonderful ! 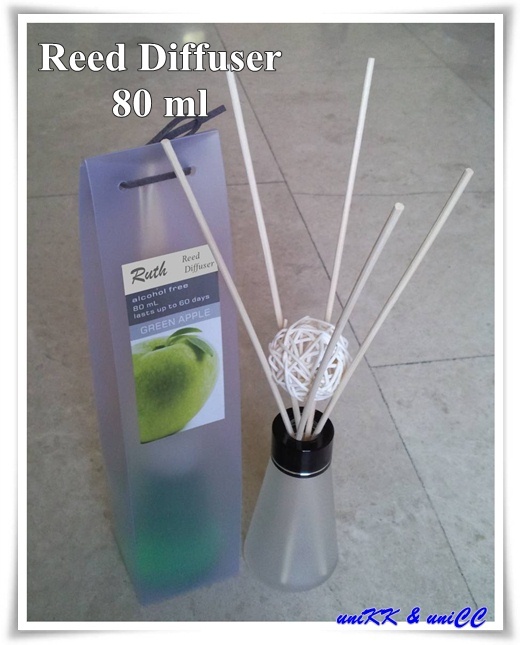 How long do reed diffusers last ? 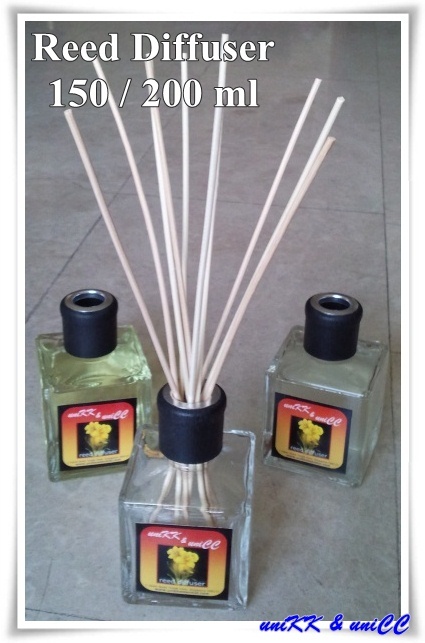 As a general rule of thumb, o150ml reed diffuser oils will last for approximately 3-4 months. 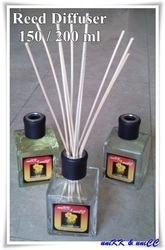 There are many factors that contribute to how long reed diffuser oils last. Use of fans, air conditioning, heating, humidity, closed doors, open doors, dehumidifiers, etc. Also, the amount of alcohol contents in the solution also determines how long the diffusers last. Constant flipping of the reeds to draw out more scent will also cause usage to go up. 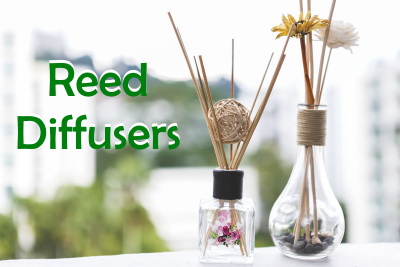 Can I re-use my reed diffuser reeds ? Once reeds have been used for a certain scent, you should not use them for another scent. 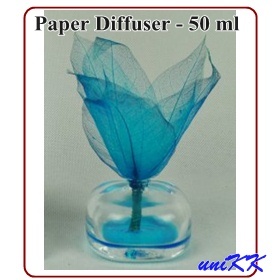 The scent will mix with the new scent and could produce differnt scent combinations. 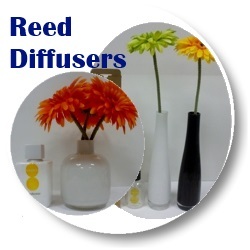 You should use new reeds when you switch to a new scent or if they become clogged with dust. After prolonged use of the reeds, the channels can become clogged. Simply replace with new reeds to get the scent rolling again! When you notice the scent fading a bit or want an extra burst of fragrance. Some users flip the reeds about once per week. Can I buy shorter reed diffuser reeds ? You can cut the reeds to any length you desire. Just use a regular scissors and snip the ends to the desired length. Only cut clean, unused reeds.